Darth Tyranus. Count of Serenno. Leader of the Separatists. A red saber, unsheathed in the dark. But who was he before he became the right hand of the Sith? 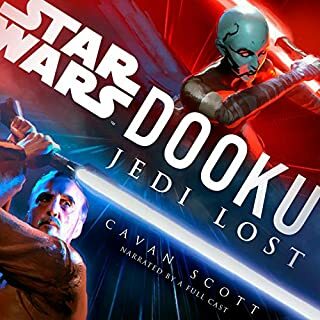 As Dooku courts a new apprentice, the hidden truth of the Sith Lord’s past begins to come to light. 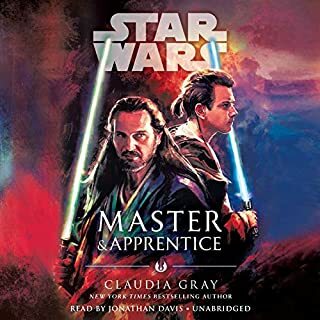 An unexpected offer threatens the bond between Qui-Gon Jinn and Obi-Wan Kenobi as the two Jedi navigate a dangerous new planet and an uncertain future. One of her best, even if parts were confusing. 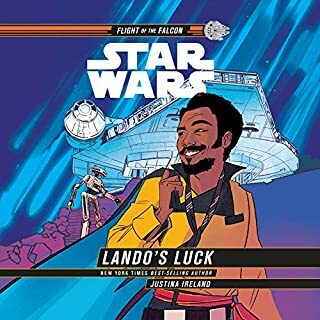 A middle grade novel starring Lando Calrissian and the droid L3-37, of an adventure they had when Lando was the captain of the Millennium Falcon. 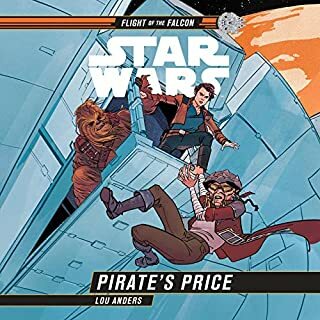 An exciting tale about Han and Chewie and their adventures in the Millennium Falcon with the pirate Hondo. This was an extremely entertaining audio! In this prequel to the Disney Parks experience, General Leia Organa dispatches her top spy to Batuu in a desperate search for Resistance allies. When the parents of Milo and Lina Graf are abducted by agents of the evil Empire, the children must undertake a perilous journey across the unknown reaches of Wild Space to rescue them - and to discover hope for the future. This set includes The Snare, The Nest, and The Heist. It also includes The Escape, the thrilling prequel to the Adventures in Wild Space series. 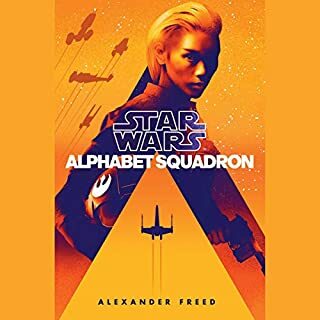 Follow the heroic adventures of Mattis Banz, Lorica, AG-90, Dec, Jo, and the rest of the squadron as they battle against the evil First Order in this three-book collection of Star Wars Join the Resistance series. This collection includes Join the Resistance, Escape from Voldran, and Attack on Starkiller Base. Set before the events of Solo: A Star Wars Story! Han and Qi'ra don't have a lot in common other than not having a lot. They're street kids on the industrial planet Corellia, doing whatever it takes to get by, dreaming of something more. They each jump at a chance to prove themselves in the perilous world of Corellia's criminal underbelly, only to discover they are on the same mission for the same unscrupulous boss. When the job goes disastrously wrong, Han and Qi'ra are on the run. When Chewbacca the Wookiee finds out that a job he thought was just ferrying tooka cats is actually much more, he's excited to have something to do! But when he, a young bounty hunter/librarian, and a droll cargo droid - who, unbeknownst to the others, is rebel spy droid K-2SO - land in the middle of a blue forest that emits a fear-causing mist, Chewie realizes the job may be too dangerous for his liking. 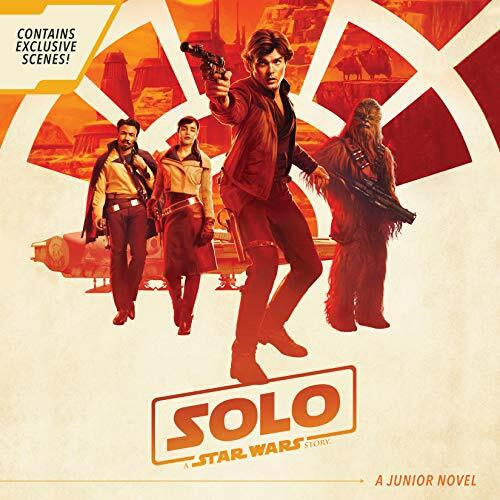 He and his companions will have to fight off snarlers, sniffers, and their own fears as they try to recover a sacred book - and rescue Han Solo in the process! 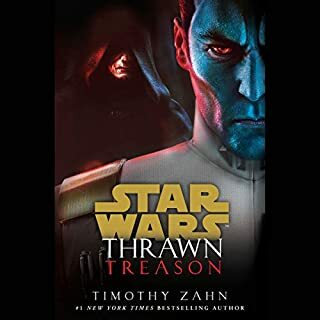 In this definitive novel, listeners will follow Thrawn's rise to power - uncovering the events that created one of the most iconic villains in Star Wars history. In Avengers: Infinity War, a threat emerged from the cosmos - Thanos, a ruthless warlord who plans to collect all six Infinity Stones. Joined by his formidable allies, he will be near-unstoppable at achieving his goal. The Avengers, the Guardians of the Galaxy, Doctor Strange, and Spider-Man must join forces and fight side by side to stop Thanos, while the fate of the Earth and the universe lays in the balance. Times are desperate for the Rebel Alliance. Harassment by the Empire and a shortage of vital supplies are hindering completion of a new secret base on the ice planet Hoth. So when Mid Rim merchants offer much-needed materials for sale, Princess Leia Organa and Han Solo lead an Alliance delegation to negotiate a deal. But when treachery forces the rebel ship to flee into territory controlled by pirates, Leia makes a shocking discovery: The fierce marauders come from Leia's homeworld of Alderaan, recently destroyed by the Death Star. On a mission to a planet threatened by a toxic disaster, Obi-Wan and Anakin are separated. Anakin and three other apprentices - one of them his rival - must work together in order to survive. Anakin's instincts are clear...but are they right? He was a child without a past, a Corellian street urchin, abandoned, foraging for scraps of food, when the cruel Garris Shrike whisked him away to join a nomadic band of space-faring criminals. Now, years later, chafing under Shrike's sadistic tyranny, driven by dreams of adventure and glory, Han fights his way free. His goal: to become an Imperial Navy pilot. But first he needs hands-on experience flying spacecraft, and for that he takes a job on the planet Ylesia. Prefect for the whole family on a long car ride! The Separatist Alliance, with ruthlessness and treachery, is beating the Republic to every strategic target. But after a costly clash with General Grievous for the planet Kothlis, Anakin has a mission that will focus his anxious mind. Alongside Obi-Wan Kenobi, he is posing as a long-lost native of Lanteeb, an impoverished world on the Outer Rim. This seemingly unimportant planet has drawn the interest of the Seps and Anakin, and Obi-Wan soon discover the disturbing reason. For the handful of scattered Jedi, survival is imperative if the light side of the Force is to be protected and the galaxy somehow, someday reclaimed. Yet more important still is the well-being of the twin infants, Leia and Luke Skywalker, the children of Anakin and his doomed bride, Padme Amidala. Separated after Padme's death, they must be made safe at all costs, lest the hope they represent for the future be turned to horror by the new Sith regime, and the unspeakable power of the dark side. Solid, wish it was Unabridged though. Board the Millennium Falcon for a galactic adventure that explores the story of one of Star Wars' greatest heroes! Han Solo leaves his homeworld Corellia behind and dreams of becoming the greatest pilot in the galaxy. But before he can find the perfect ship he'll have to survive a dangerous job in the criminal underworld! Read along as Han encounters Chewbacca the Wookiee, smuggler Lando Calrissian, and other heroes and villains. Author Joe Schreiber captures all the excitement and adventure of the hit film! Features original and deleted scenes that are exclusive to this edition, including a comical chase scene on Kessel and more background on Chewbacca!